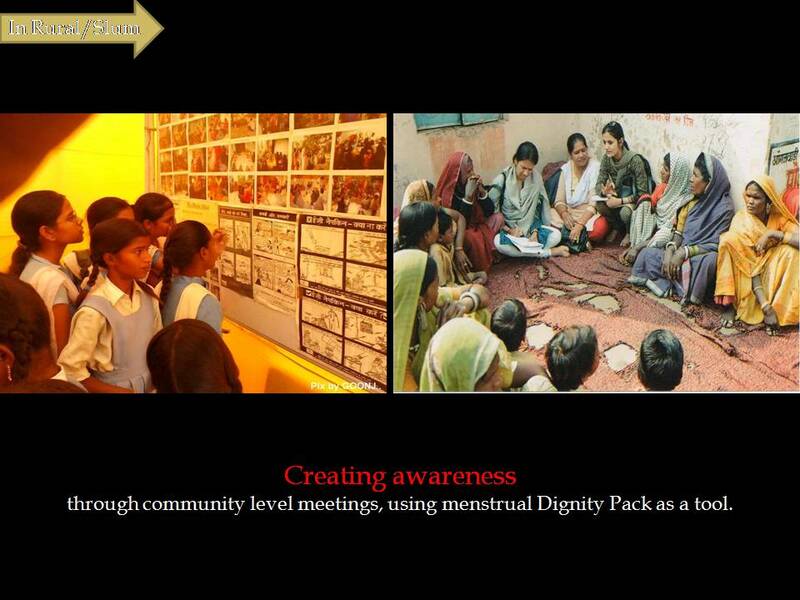 Addressing the gaps and challenges of menstrual hygiene and management for the last women by engaging comprehensively with all key stakeholders. 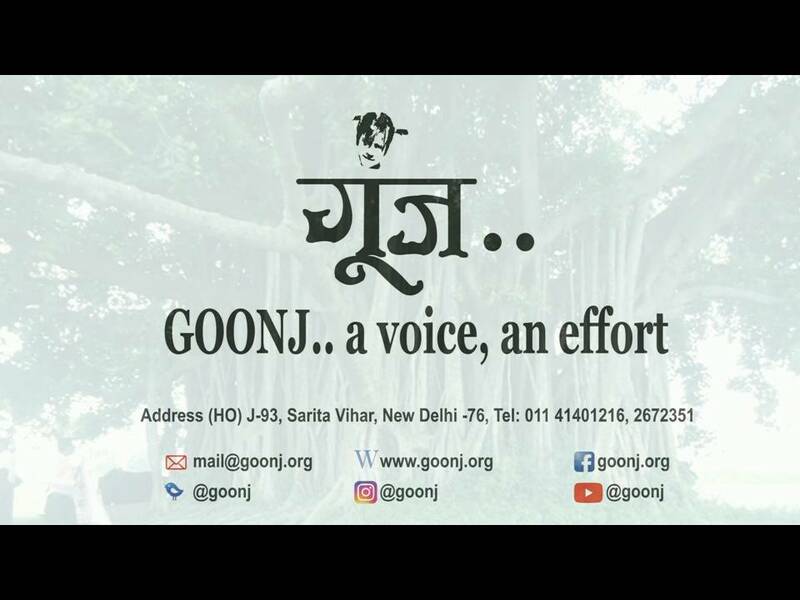 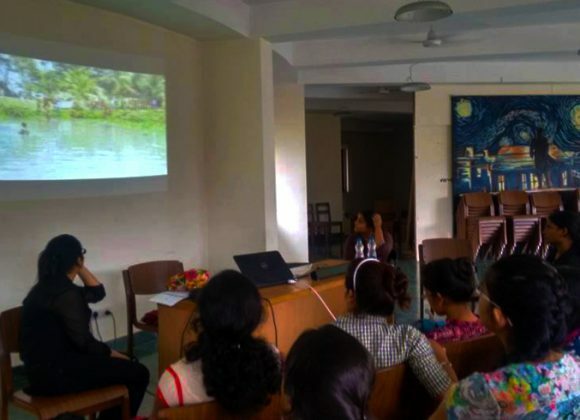 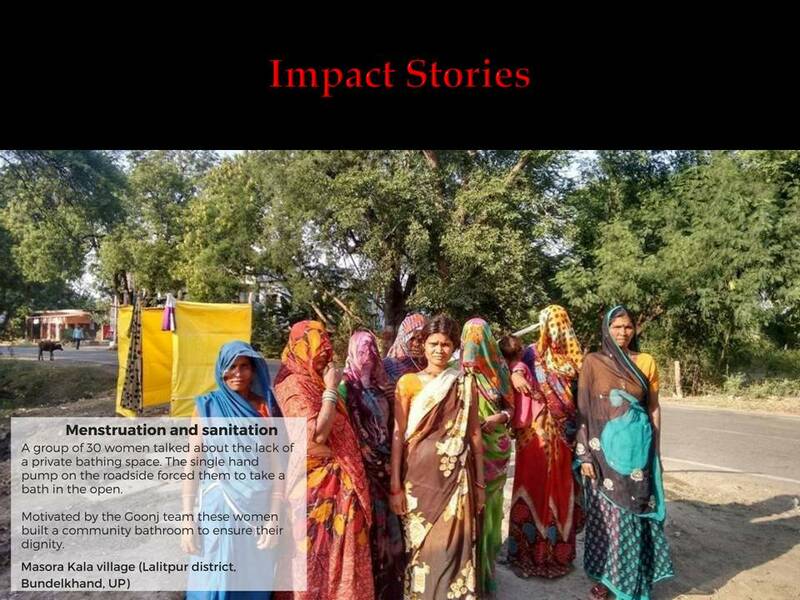 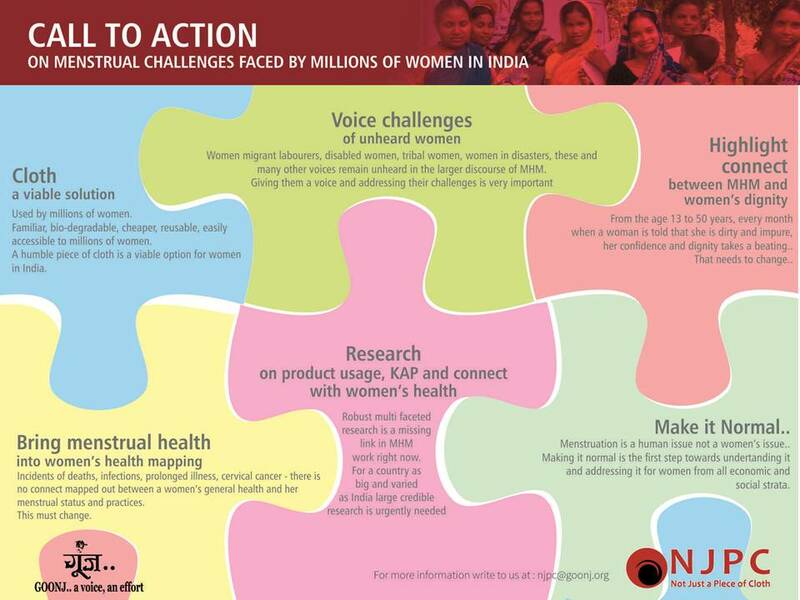 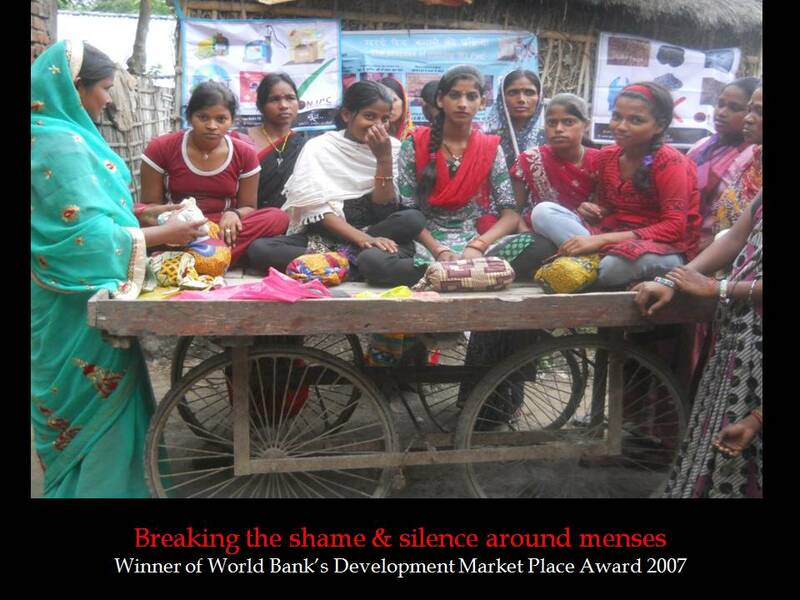 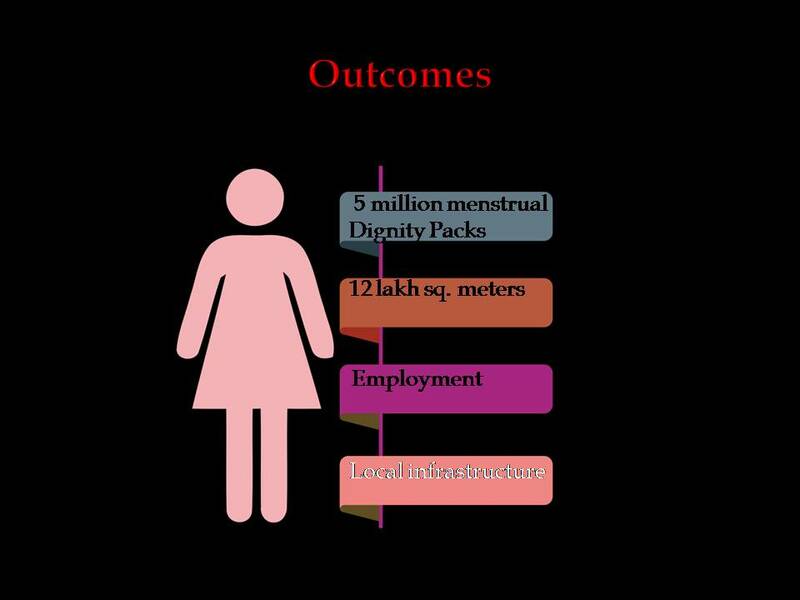 Breaking the culture of shame and silence around menstruation for the last women in rural and slum India and addressing their menstrual hygiene challenges with a Triple A approach on menstrual Access, Awareness and Affordability. 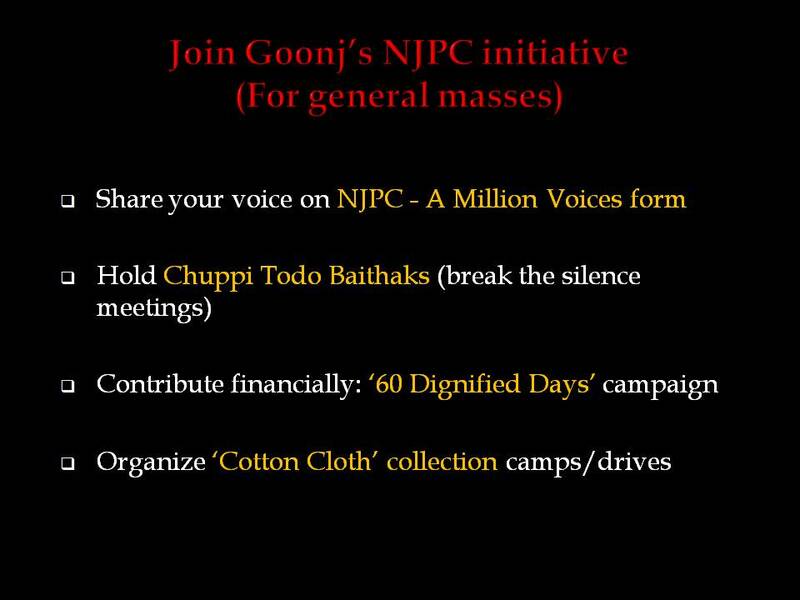 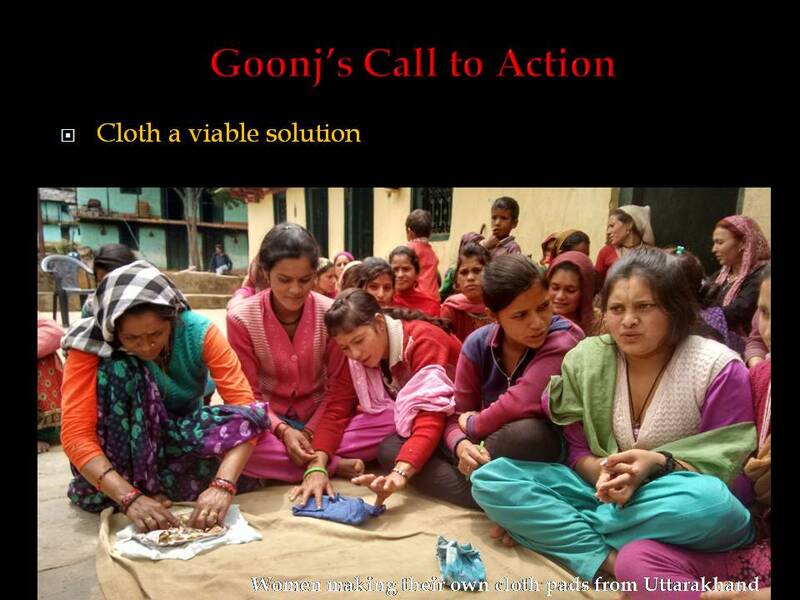 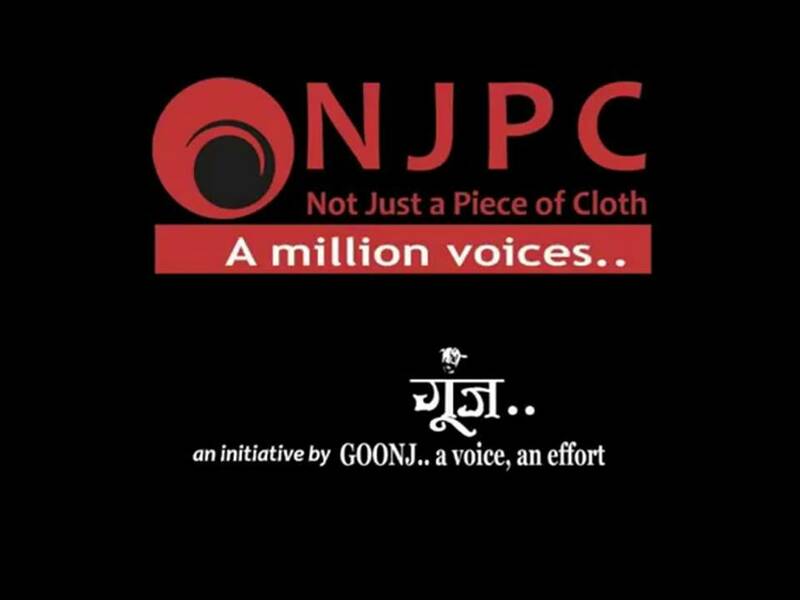 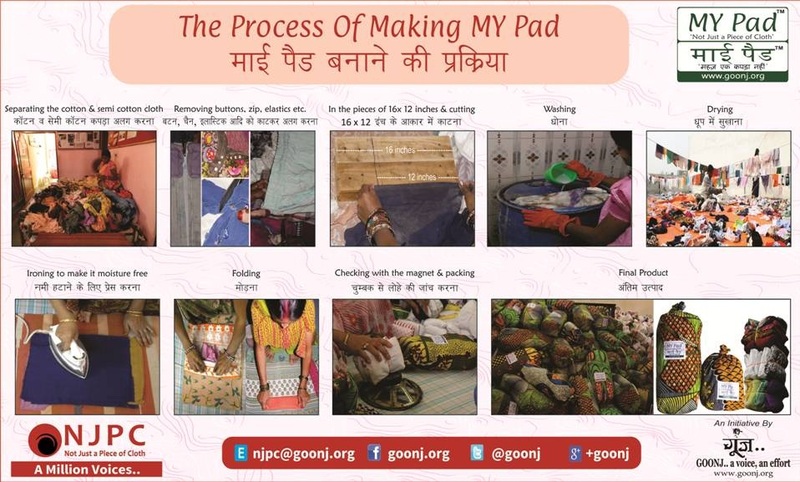 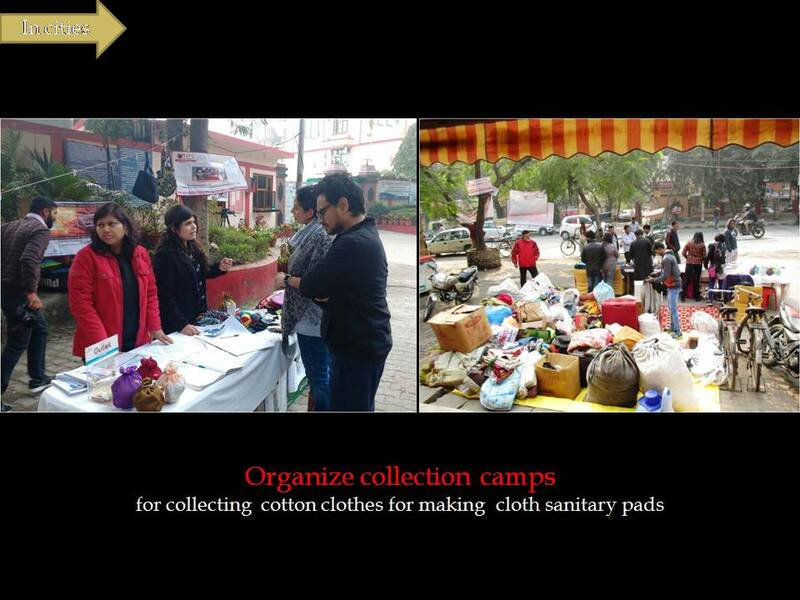 Motivating urban masses to contribute cloth for making ‘MY Pads’ cloth sanitary pads for women who struggle even for this basic. 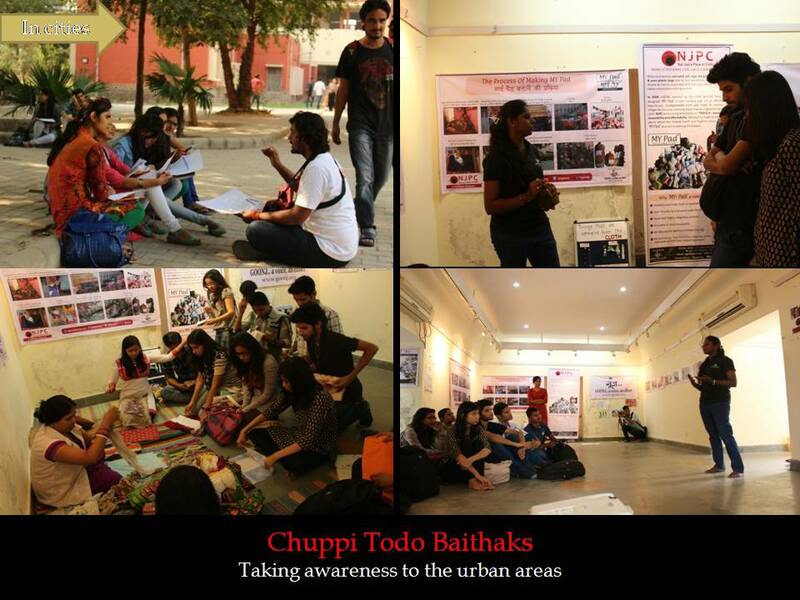 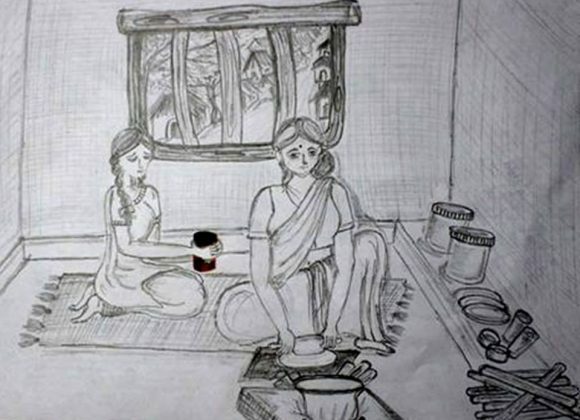 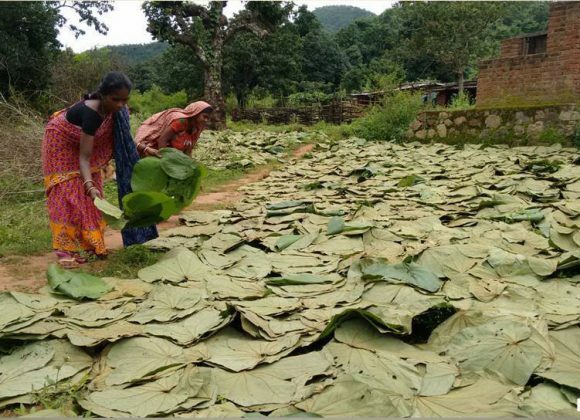 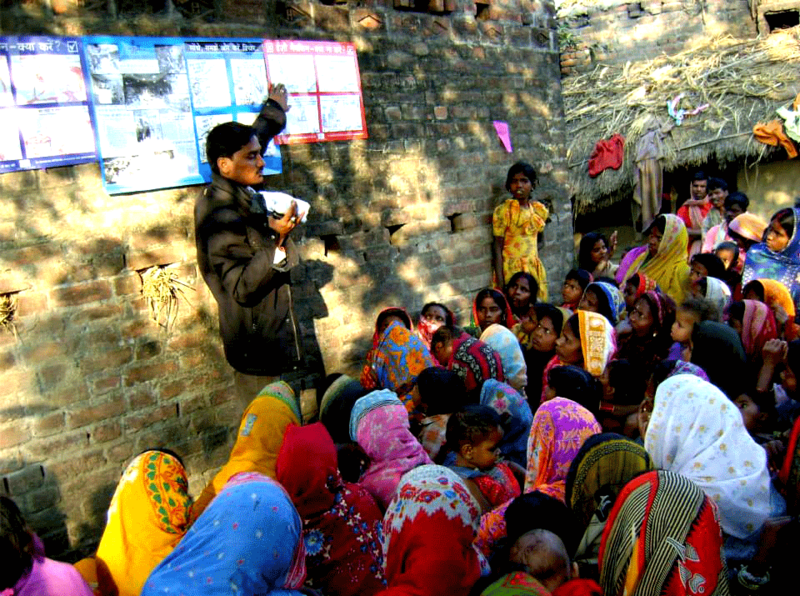 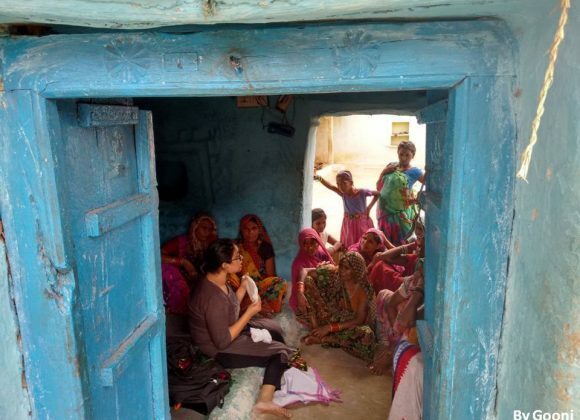 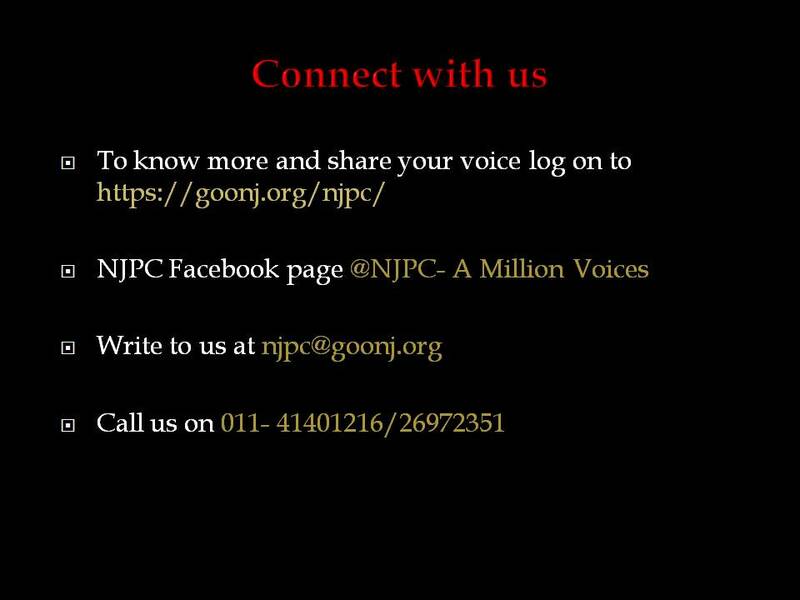 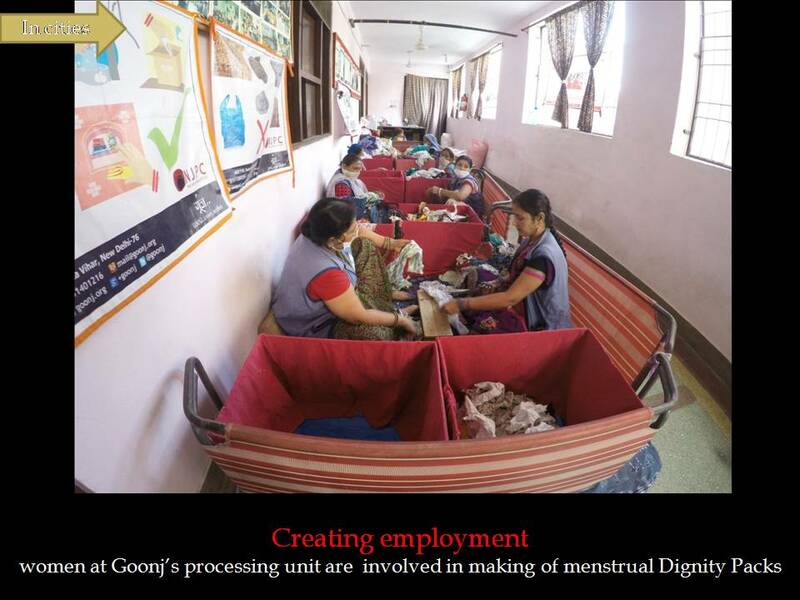 Establishing Menstruation as a normal in urban and rural culture. 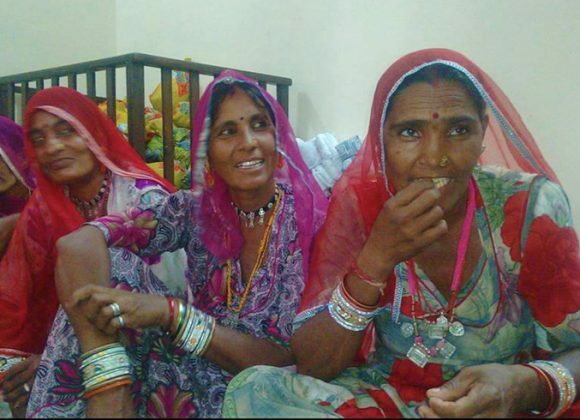 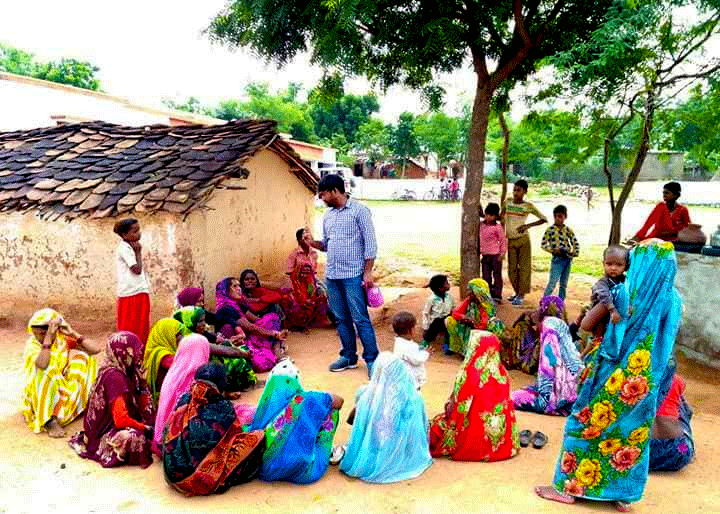 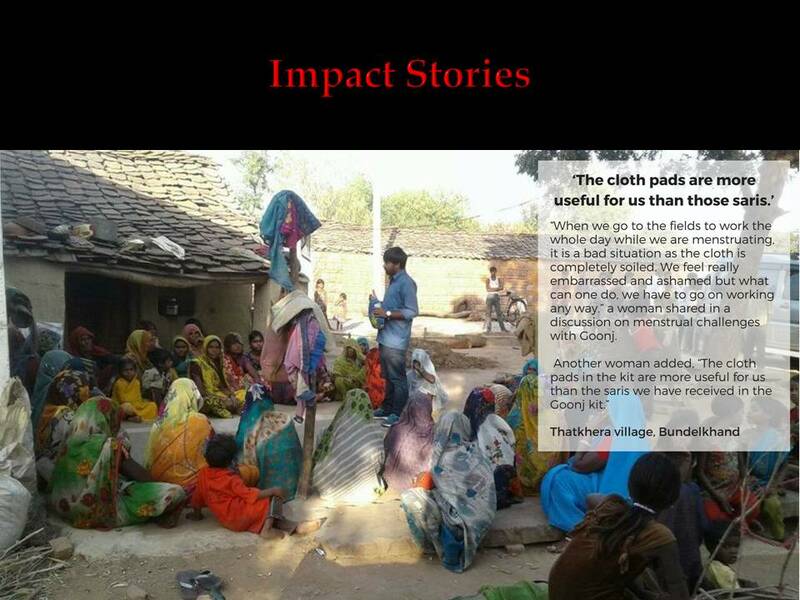 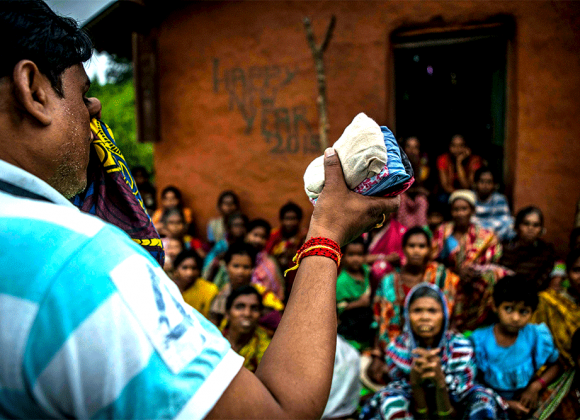 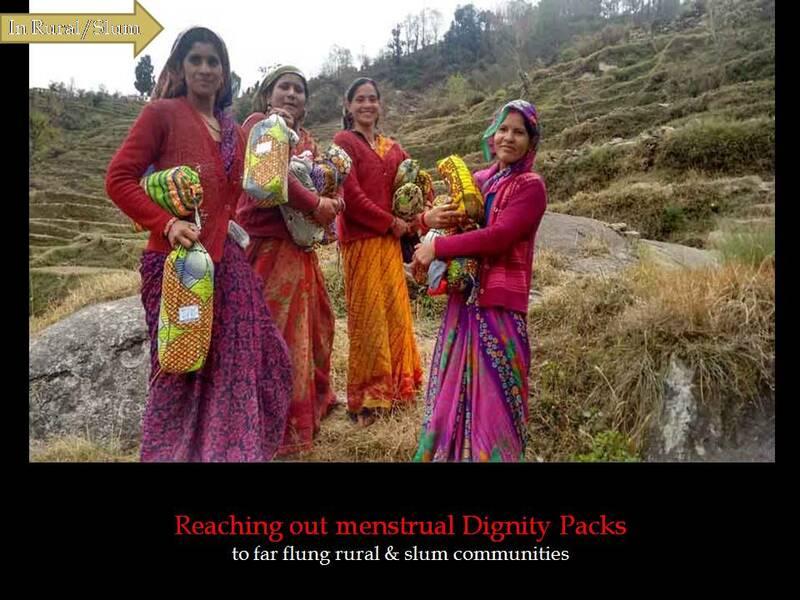 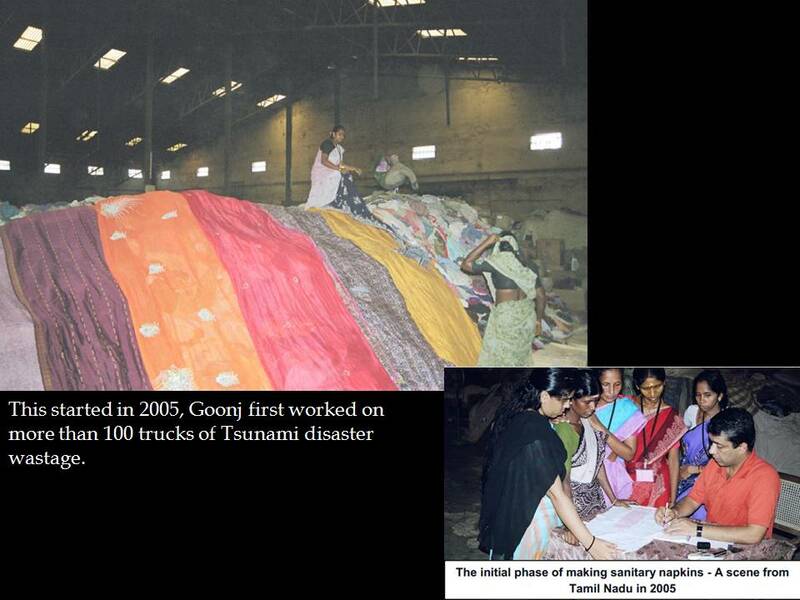 Women in remote areas who have no access, awareness or affordability getting Cloth sanitary pads, with awareness. 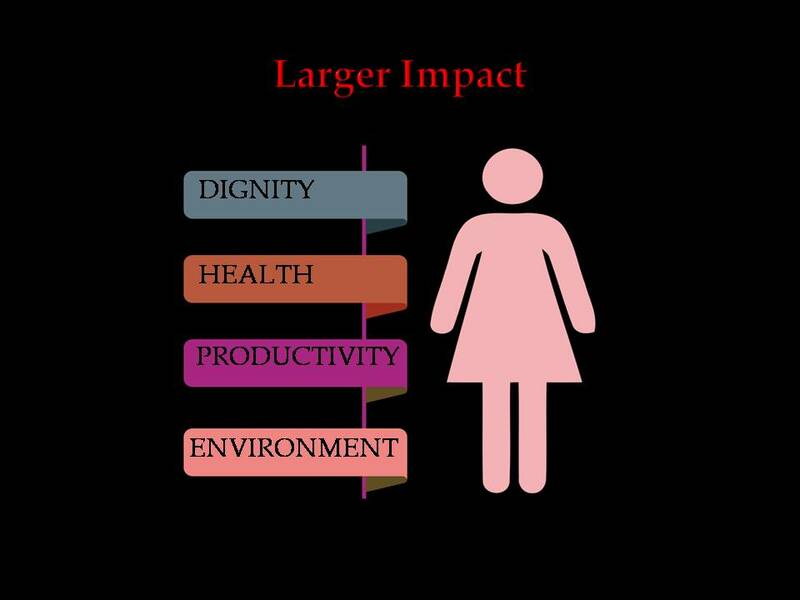 The poorest communities/areas/villages identified where women face one or more of the Triple A issues – Access, Awareness and Affordability. 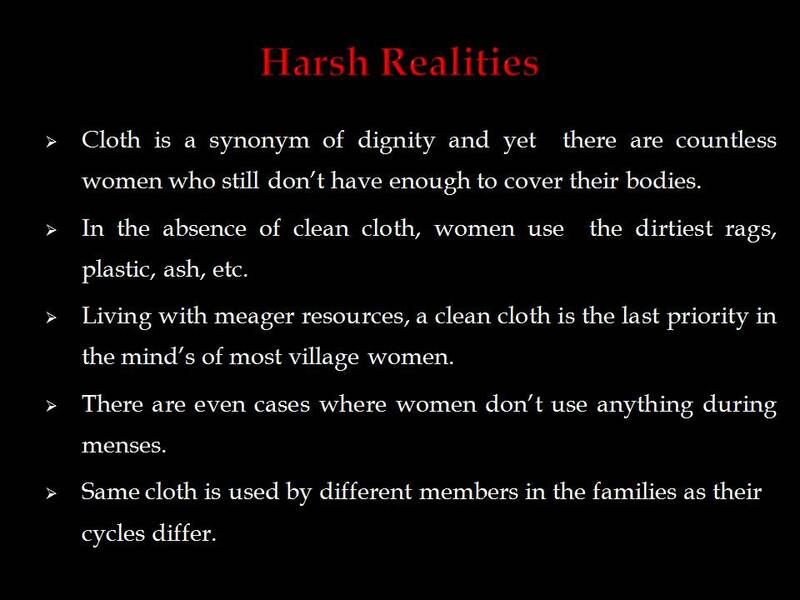 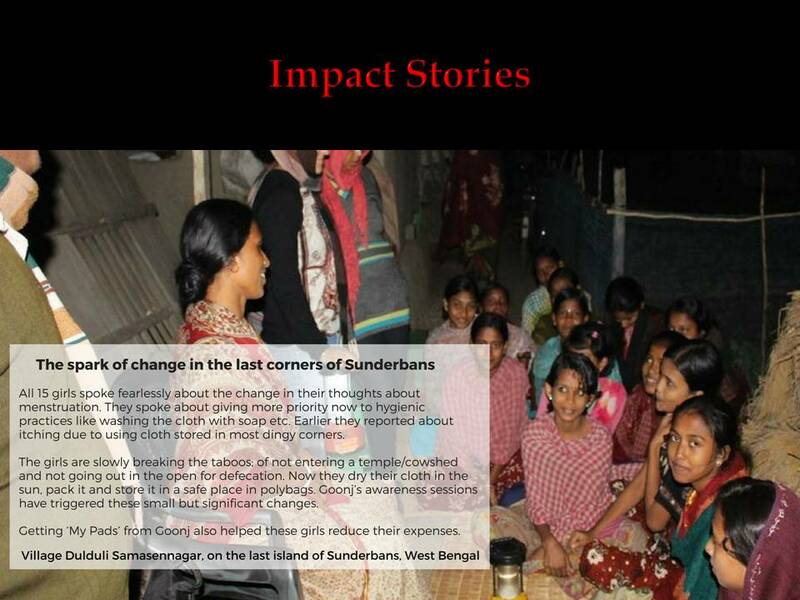 Understanding the realities of the women in the area. 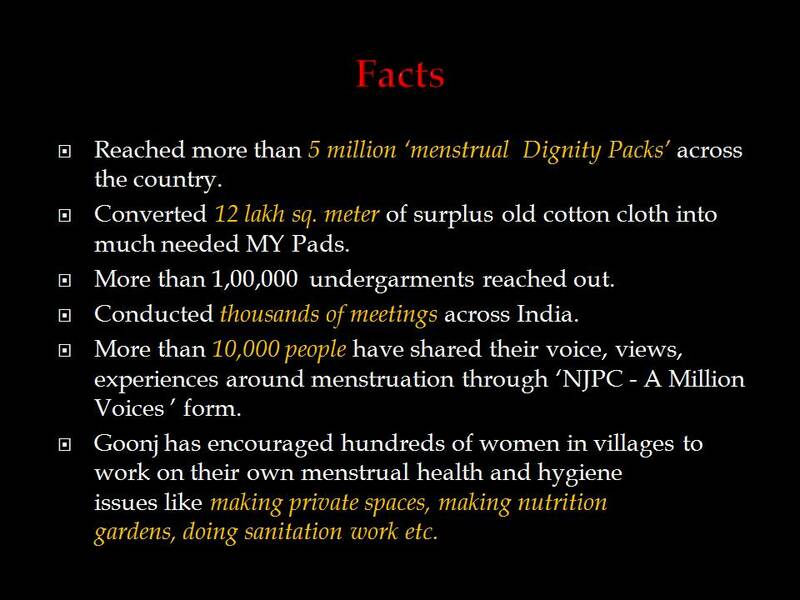 Using Menstrual Dignty Pack including My-Pad (Cloth sanitary pad) and under garments as a tool to initiate a dialogue with women. 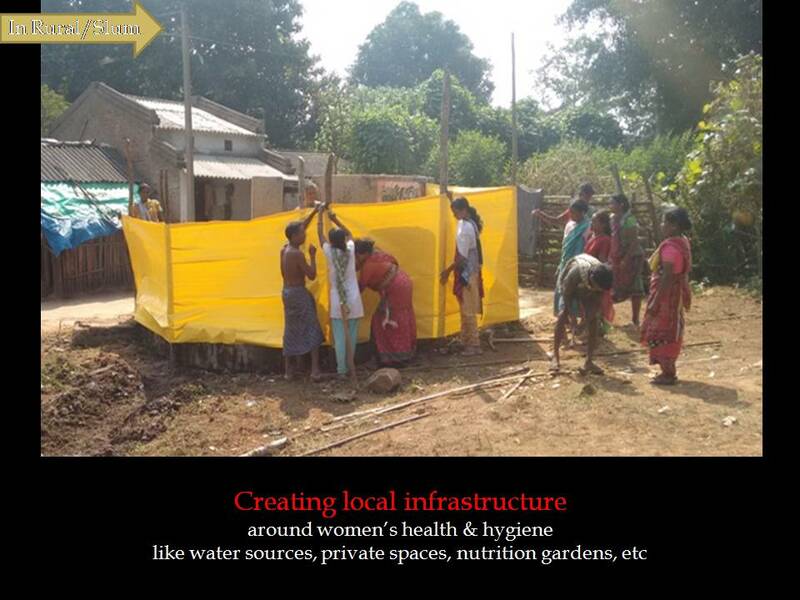 Village communities use their wisdom, resources and efforts to make kitchen gardens, private spaces, better sanitation and enhance their access to water.